A traveling exhibition of Pierre Daura’s art inspired by his family life will find its home in the Daura Gallery at University of Lynchburg in June and July. Pierre Daura (1896 – 1976): Picturing Attachments includes paintings, drawings, sculptures, and etchings of the artist’s wife and daughter, as well as some of his self-portraits. 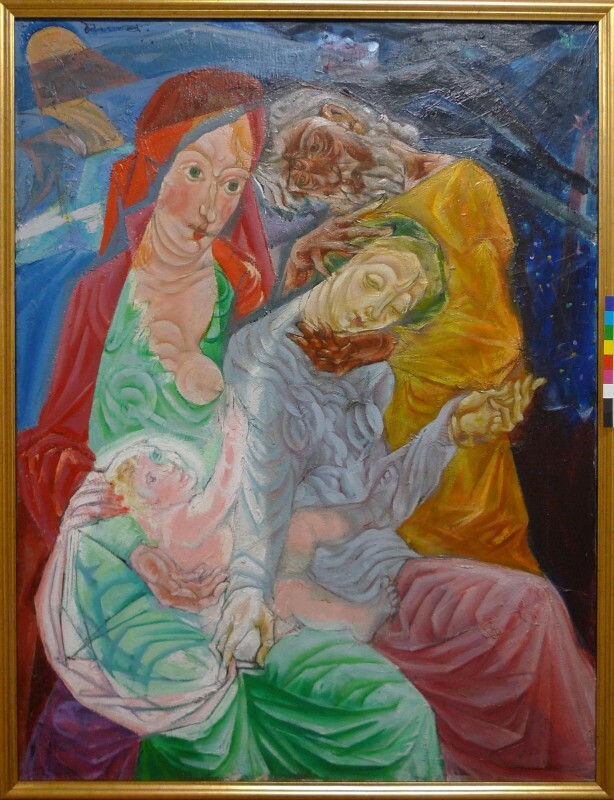 It is the first major exhibition of Daura’s work focusing on his personal relationships. Several of Daura’s works housed at LC are in the exhibition, but the show also includes works that would be new to a Lynchburg audience. “Many have never been seen here, and others have not been seen here in many years,” said Barbara Rothermel, director of the Daura Gallery. Adelheid “Heidi” Gealt, curator of the exhibition and director of the Indiana University Art Museum, has conducted extensive research about the way artists’ personal relationships find expression in their art. Being enchanted with Daura’s work after a personal trip to Lynchburg, Gealt included his works in the study. 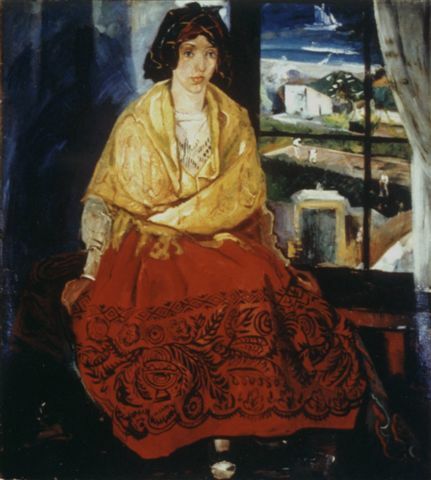 Pierre Daura, Louise in Asturian Costume, ca. 1929 Collection of the Daura Gallery. The exhibition has spent time at the Indiana University Art Museum and the Georgia Museum of Art. It will open in the Daura Gallery at LC on June 8 and will be on view until July 31. During the summer, the gallery is open from 10 a.m. to 4 p.m., Monday – Friday. Gealt will speak at the Daura Gallery’s 2015 annual dinner, “An Evening with Art and Friends,” on Thursday, June 11, at 6:30 p.m., with exhibition viewing beginning at 5:30 p.m. Tickets are $25 for Friends of the Daura Gallery and $45 for guests. Attendees should RSVP to Laurie Cassidy, administrative assistant for the Daura Gallery, at 434.544.8349. Pierre Daura (1896-1976): Picturing Attachments was organized by the Indiana University Art Museum, with generous assistance from the Daura Foundation, the Georgia Museum of Art, and the Daura Archive. Photographs come from the Pierre Daura Archive, Georgia Museum of Art, University of Georgia. All works by Pierre Daura © Martha R. Daura. Born in Spain, Pierre Daura was best known for his paintings and sculptures. He married Louise Heron Blair of Richmond, who was studying art in Paris when they met, and the family later moved to Virginia. He taught art at both University of Lynchburg and Randolph-Macon Woman’s College (now Randolph College).